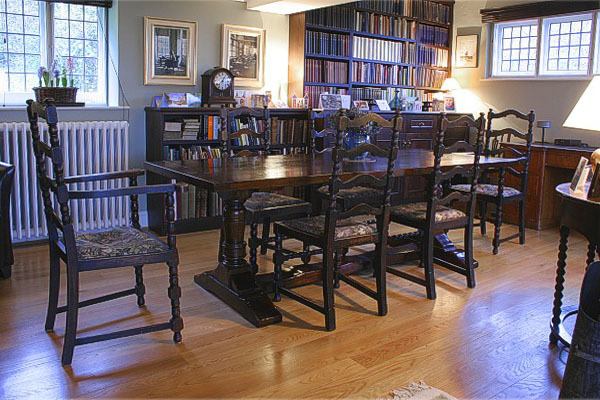 Our Berwick range 17th century style oak pedestal base dining table, shown here in the fabulously characterful dining room of our clients Sussex cottage. This table was purchased from our showroom (part of our stock for immediate delivery) and personally delivered, by us, two days later. 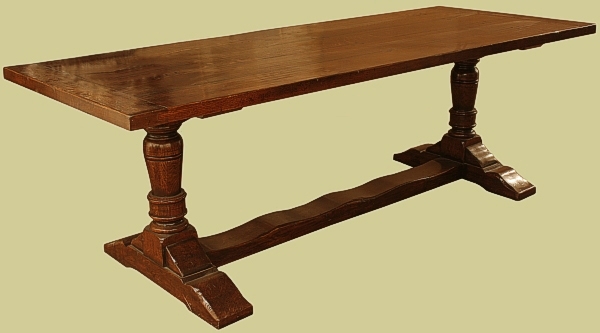 We're rather proud to say that our client chose this table, rather than an antique example they'd viewed earlier.